One of the most impressive aspects about Super Smash Bros. Ultimate is the game’s soundtrack. Over 800 songs are included, and a bunch of different composers contributed to the final product. Tomoya Ohtani, the series sound designer for Sonic the Hedgehog, is one such person who worked on the tracklist. 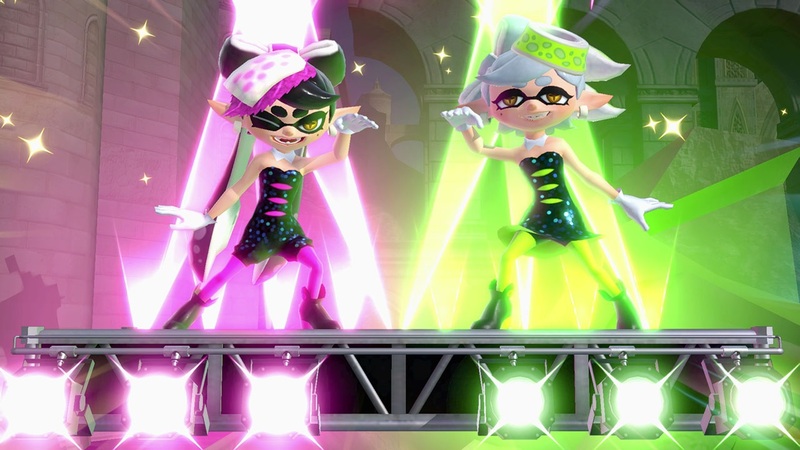 Ohtani was responsible for the new arrangement of Bomb Rush Blush – a piece of music originating from Splatoon. Ohtani posted an interesting column last month that details how he settled on Bomb Rush Blush, the way in which he went about changing it for Smash Bros., and more. Hello everyone! Sonic series sound designer Ohtani here with a Super Smash Bros. Ultimate special! It’s been a week since the launch of the game now, but is everyone still playing? As for me I’m still playing a little bit every day and during lunch time and at work I often play eight player battles. My current goal is to unlock all of the fighters and complete World of Light, but it seems there’s still plenty to do. To have the opportunity to collaborate with such a great global company like Nintendo makes me very happy. In today’s column I’d like to share some memories from the development. At some point Nintendo contacted me about being involved in development for the game. I was familiar with the great music in the previous entries, so the thought of making my own contribution made me pretty tense. Up until my meeting with director Masahiro Sakurai, Bandai Namco’s Junichi Nakatsuru and Hiroki Hashimoto, I thought a lot about the song I wanted to work on, and however much I thought about it, the game that kept popping up my mind was Splatoon. I finally narrowed it down to one song! ‘Bomb Rush Blush’ is a solo performed by one of the Squid Sisters, Callie. I wonder though, if the deciding factor was actually the inclusion of that star (the original Japanese title contains a ☆ symbol). I asked if it was OK for me to do this song and I got permission. After that, I was sent the data for Callie’s vocals. With that distinctive voice in there, however I arranged the piece I could be sure it would be recognizable as a Splatoon song. The original song has great energy and is really catchy, but to enhance the feeling of a battle I sped up the tempo. I have only good memories of enhancing that bright and addictive idol-like appeal, creating a new song from there. For the next step in the process, Sakurai was good enough to listen to my piece and give me feedback, and we ended up agreeing to add even more things that were not in the original. There are also elements of other musical genres like ‘Future Bass’ and ‘Trap Music’ included. Because there are not too many obvious trademarks within these genres, and there are also so many tracks to choose from, it was really tough. I then used the DAW software ‘Cubase’ for the arrangement, giving the song some Splatoon color. For me, I think arranging the song was definitely a lot of fun, but what do you think? And, as I am sure you already know, there are also more songs included from the Sonic series: ‘Fist Bump’, ‘Sunset Heights’ and even ‘Lights, Camera, Action! – Studiopolis Zone Act 1’ from Sonic Mania. Even though there are so many tracks this time around, please give these a listen too. There are over eight hundred songs, and I’m sure you’re going to collect them all, right?